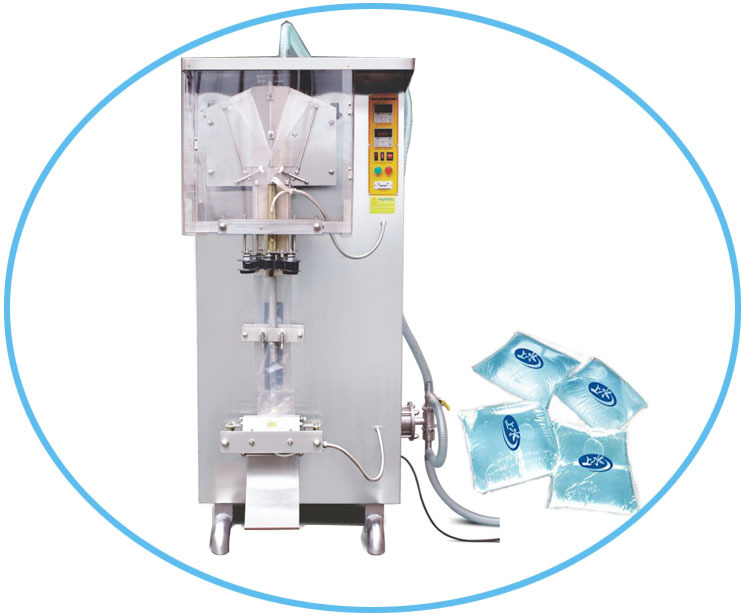 Shenzhen Neptune offers a high quality and reliable water pouch (sachet) filling and packaging machine that is capable of producing between 1500-2200 sachets per hour. 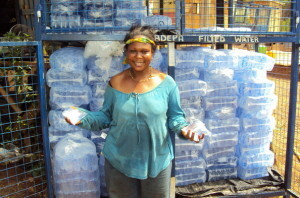 It can be adjusted to fill sachets or pouches ranging from 200-500ml. This pouch packing machine can be used to fill pouches with a wide variety of liquids such as water, juices, wine, alcoholic beverages, soy milk, and various other liquids. This sachet filling and packaging machine has been proven to be very reliable and is very commonly used in areas such as Latin America, Africa, and the United States, but can be used anywhere worldwide. hat there are no adhesives, glues, or resins used to seal the bag, preventing any possible contamination from sealing. The heat-sealing system uses thermal transverse vertical sealing to seal the bag, meaning that the bag feeds vertically and is thermally (heat) sealed. It is designed to use wither PE film or composite film bags making it versatile to various applications. It can be used with films with preprinted logos or films without logos. The machine then cuts the sachet and drops it into the finished product area. The water sachet packing machine features date lamination, which laminates the date of production on the bag allowing you to track which pouches were produced on a given date. It also features automatic counting to track the number of bags produced by the machine rather than other machines which do not include this feature. The S1 & S2 water pouch packing and packaging machines use UV sterilization when filling the sachets to prevent any possible contamination. Therefore you can be sure that the water inside the bag has not been contaminated after it has been purified by you water purification system. The S1 & S2 water sachet packing and packaging machines are built to be very reliable and dependable, however it does come with a 1 year warranty due to manufacturer defect. It also comes with several free maintenance parts and other parts as well which are listed below.